Tom’s Burgers in Lompoc is known as the “Home of the Educated Hamburger,” a reference to the restaurants A to Z list of available flavors, from the Amorous Burger (the regular burger, with four ounces of ground beef on a toasted bun with lettuce, tomato, pickles, and dressing) to the Zest Burger, which features one whole pound of beef. Along the way are the Great Balls of Fire (with jalapeños), the Otter Burger (with sour cream and horseradish), and the Pizza Burger. On Thursday, February 28, 5-8 p.m., wine will be part of that education, as James Sparks will be pouring three of his Kings Carey grenaches alongside three sliders for just $15. The generously sized sliders will including one with onion rings, BBQ sauce, and cheddar cheese, paired with the 2018 Kings Carey Rosé of Grenache from Spear Vineyards in the Sta. 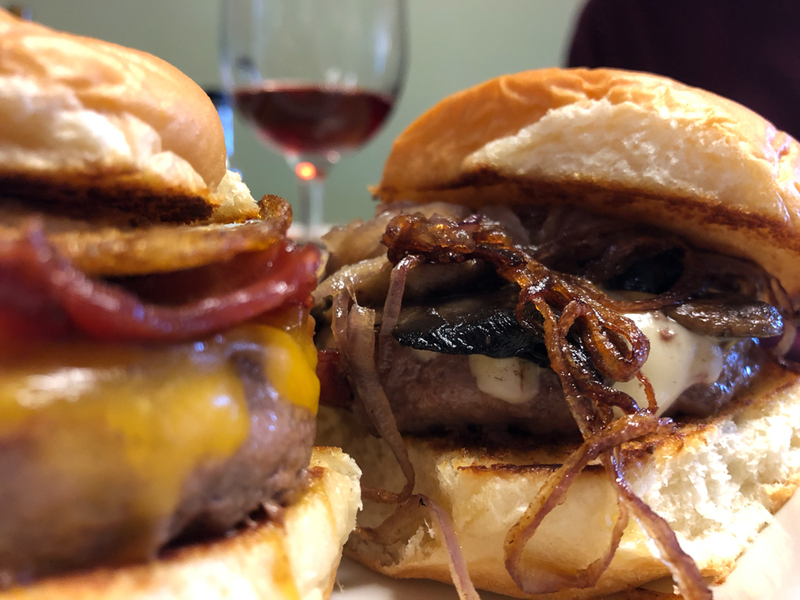 Rita Hills; another with mushrooms, grilled onions, and Swiss cheese with the 2016 Kings Carey Grenache, also from Spear; and the third has bacon, egg, and cheddar cheese, with the 2017 Kings Carey Grenache. Vegetarian burgers are available upon request.